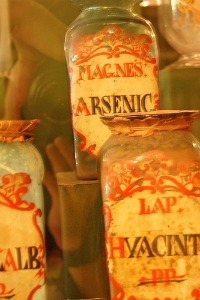 Can anyone tell me in what year hair strands were used for detecting arsenic poisoning? I am watching a TV series that takes place in the 1920's, and a doctor analyzed his patient's hair and detected the arsenic. Is this historically correct?